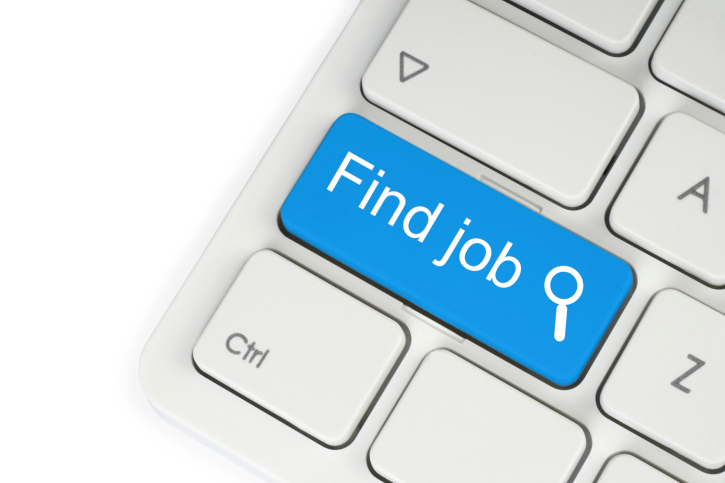 the proactive approach, which may include general searches on online jobsites, sending off your CV on spec, which some websites encourage people to do, and working with recruitment agencies. The Recruitment and Employment Confederation has an online directory of agencies. However, if you want to uncover the hidden job market you will need to be hands-on. That means tracking down unadvertised vacancies or, perhaps, creating new opportunities for yourself. It may involve carrying out research into the small and medium sized enterprises that operate in your field of interest, as these organisations are often less visible and may rely on word of mouth or proactive approaches to recruit. Being proactive means building a network of contacts – both as a source of information about the field or organisation you are interested in and as a way to get yourself known by people who may be able to help you. First, try to identify people you already have some link with who may be useful, or who could lead you to someone useful. Make a list of everyone you know: friends, family, colleagues, former employers, professional bodies. Use social media sites such as LinkedIn and Facebook to let people know the type of work you are interested in and ask if they know anyone with knowledge of that area. To find out more about the different types of social media and how to use them effectively, see ‘Hints and tips for using social media’, below. Having identified relevant employers, you could just send off your CV in the hope that they have a position available. Such speculative applications can result in success. To increase your chances, your applications should be well researched and targeted to that particular area. This is the process of arranging informal meetings to ask people about their jobs. In general, people respond positively to such requests, especially if you are only asking for information and advice and not a job (at this stage). Even if you are still unsure about the right job for you, information interviewing can help you decide if you really would enjoy this type of work. One approach is to email a contact stating that you are interested in working in their field or their organisation and that you would like to get more information. Make it clear that you are not asking for a job, only 15 minutes of their time. It is also a good idea to mention where you obtained your contact’s name, especially if it is a mutual acquaintance. Suggest that you will contact them by phone in a few days to arrange an exact time for an appointment. The worst they can do is claim they do not have the time. If you succeed in arranging a meeting, make the most of it by being clear about what information you would like to obtain. Do as much background reading and preparation as you can so that you do not waste your time or their time. What does it involve in detail? What are the typical activities? What are the reporting lines? Are there any particular qualifications or types of work experience sought by your sector/organisation/department/role? Where are advertisements for this type of job placed? How did your contact get their job? Always ask your contact if they can recommend some more people who might be able to offer you further advice. This keeps your network expanding. Finally, don’t shy away from online networking. With the advent of social media, networking has become much more accessible and provides an important route to finding a job. Many jobs – some estimates say as many as 30 per cent – are filled through word of mouth via the ‘hidden job market’. So these speculative and proactive approaches are useful not only to raise your awareness of what’s going on, but also to find out about potential roles. Blog – creating your own blog is a great way to showcase your written communication skills. You can start a blog easily using a site such as WordPress. You can also use blogs as a way to gain current industry information. Facebook – a number of employers post careers information on Facebook. There are also sector-specific groups that you can access. However, remember that if a recruiter searches for your name on Google, your Facebook profile may crop up. Go through your profile and check your privacy settings. Also remove any photos or information that may damage your professional image. LinkedIn – is designed for professional networking and is therefore an excellent way of connecting with potential employers. LinkedIn is a bit like having an online CV, which also contains recommendations from your previous employers. You can also join relevant industry groups and directly message group members. Don’t forget to keep an eye out via traditional channels, such as: national, regional and local newspapers; trade and professional journals; and dedicated titles like Jobs UK. General business directories, such as Yellow Pages or KOMPASS. Specialist directories, such as Willings Press Guide or the Voluntary Agencies Directory. Many are produced by relevant professional or trade associations. The Directory of British Associations or the Trade Association Forum website may help you identify the appropriate organisation.